Habe ich anlässlich des MegaMeetUp in Basel im Bücherbrocki gefunden. 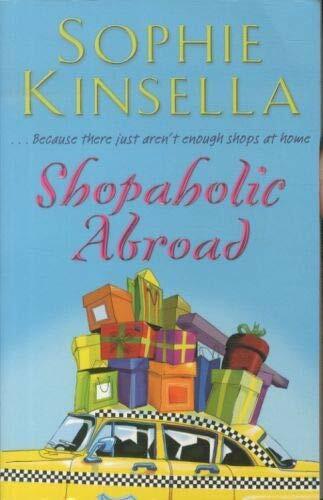 This was my second Shopaholic book. Like in the first book, I was a little torn. I liked the story in the beginning, because it was all light and carefree and not deep at all. Then around the middle of the book, the addiction of Becky didn't seem so funny anymore, it felt like a proper illness and not something to joke about, because I'm sure there are a lot of people who really spend too much money all the time and just can't help themselves. I'm glad that in the end she found a good way to solve her financial problems and that she found THE job for her, it was obvious, that this sort of job was something that she should have done all along. well... after the first few chapters I wasn't sure whether I can finish the book. But maybe it was not a good idea to read it right after "The Time Traveler's Wife". I just couldn't stend Becky at the beginning. But then, it was OK and I enjoyed the book as much as I enjoyed the first one. And I love stories with a happy ending!